Sri Lanka’s capital city, Colombo, is often overlooked by visitors in favour of a quick getaway to coastal retreats or inland hiking holidays. 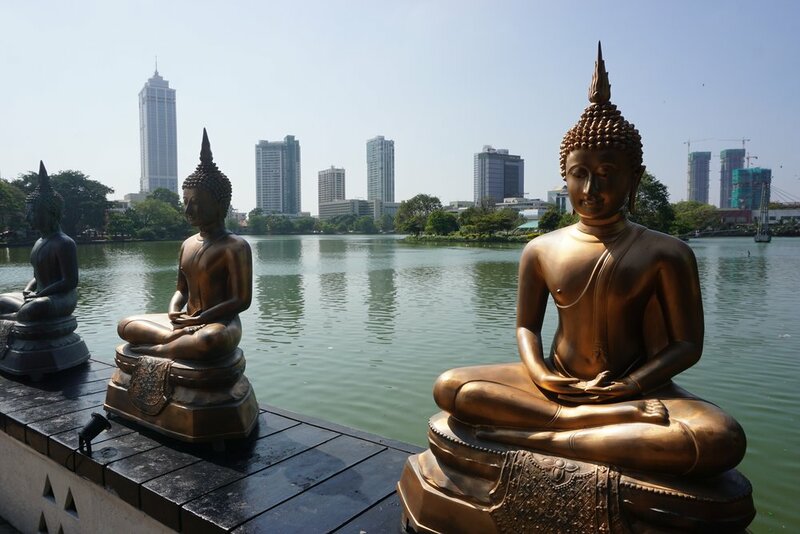 Colombo has its charm however, and is more than worth spending twenty-four hours in on your way in, or out of the country. Colombo from above; the view from Ozo Hotel's rooftop pool and bar area (read more below). Having undergone many changes in recent years, today the city is a friendly, easy-going capital with plenty of dining, shopping and sightseeing variety. If you know where to look, that is. To help, here are our recommendations on how to spend twenty-four hours in Colombo. Horton Place is the favourite hangout of anyone who is anyone in Colombo. Start at one end of this road and meander your way down from shop to gallery, stopping for coffee as you go. The Saskia Fernando Gallery is a good place to start, for an introduction to Sri Lankan and Asian inspired art. The gallery curates some of the region’s best contemporary artists and its white, spacious decor is a welcome retreat from the outside traffic. Underneath the gallery, you’ll find PR - Paradise Road - A concept store, stocking Asian and international designers. Here you’ll find a good selection of high-end design clothing, kaftans, swimwear, jewellery and accessories. Directly across the road from PR is Milk & Honey, a great place to stock up on any childrens’ clothes or toys, though more impressive is its cafe at the back serving a good selection of smoothies and health-conscious meals. Just a few minutes’ walk is another lunch or coffee-stop option, Cafe Kumbuk, where you’ll find delicious menu and smoothie options - we recommend the Mango-go smoothie, a mix of tumeric, mango, ginger and coconut milk. Backing directly on to the cafe is Prana Lounge, a yoga and well-being studio that even offers digital detoxification (so if you think your iPhone has been emitting too many electromagnetic waves this is the place to visit!). They also have a small shop selling yoga mats and locally produced goods. A slight detour from Horton Place is Ward Place (a 10 minute walk north from Cafe Kumbuk). Here you’ll find a small retail store called Buddhi Batiks, selling stylish batik clothing including skirts, dresses, men’s shirts and some pretty jewellery. Perhaps Colombo’s most well-known store outside of Sri Lanka is Barefoot, and for good reason. Famed for its traditional Sri Lankan Dumbara weaved products, you’ll find a large selection of Sri Lankan goods including clothing, crafts, books and more and to take home as gifts (or to keep for yourself!). Barefoot also has a live weaving work station to help you understand more about the process, as well as a popular outdoor cafe. 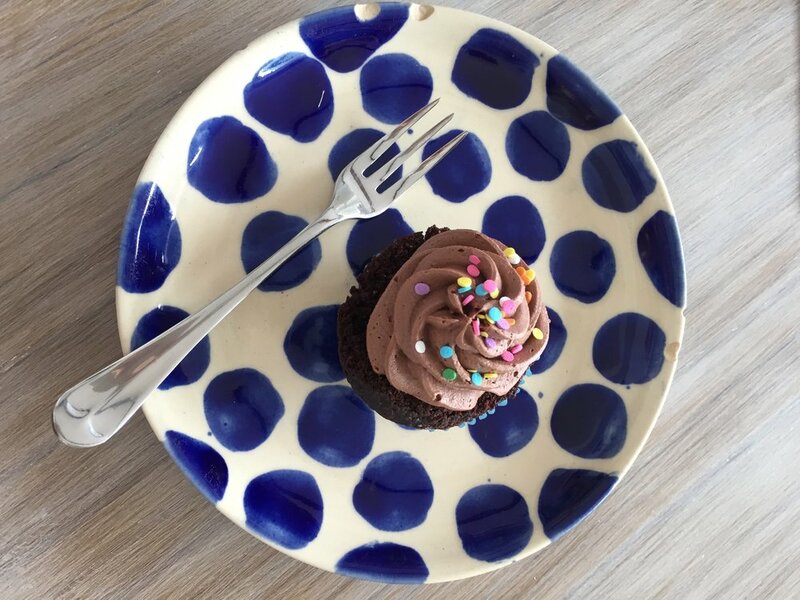 Just behind Barefoot’s location on Galle Road are a series of leafy backroads home to some cute cafes worth popping into; Bakes by Bella is a favourite with Colombo’s cool twenty-somethings who will often be found relaxing over coffee, cake and a game of scrabble. Cake at Bakes by Bella, Colombo, Sri Lanka. Nearby, The Gallery Cafe is an upscale courtyard setting, serving meats, salads, desserts, coffee and delicious juices. The latter is housed in Geoffrey Bawa’s former office - do take a look around the upstairs space which has been preserved as it was when Bawa used it. A pleasant ten minute walk around these Parisian-feel back streets is Geoffrey Bawa’s Colombo residence, Geoffrey Bawa No. 11. Viewing is available appointment only, Monday to Saturday at 10AM, 2PM and 3.30PM, or Sundays at 10AM - call in advance. Most of Colombo’s main museums and temples are relatively close to each other. The Colombo National Museum, housed inside a grand restored colonial building, is great place to learn more about Sri Lanka’s history and culture. From here, jump in a tuk and head to the Gangaramaya Temple - perhaps one of the world’s most unique religious buildings. You’ll pass through a shrine to Buddha and into an outdoor courtyard. Continue to explore and you’ll come across a museum-like space, filled to the brim with artefacts including an odd mix of jewellery, typewriters, and even a collection of classic cars at the back! On exiting the temple take a left and walk the short distance to the temple’s newer addition, the Gangaramaya Meditation Centre, also known as Seema Malaka; Sri Lanka’s only modern Buddhist Temple, built between 1976 - 1978. Geoffrey Bawa was the architect, and the temple was constructed on a pontoon overhanging Beira Lake. It’s a peaceful place with statues of Buddha, Ganesha and other Buddhist and Hindu Gods - a fantastic space for some peace and quiet in the middle of an otherwise bustling city. Beira Lake over which this temple sits is worth a wander around too, you’ll often find young couples pedalling their way around it on the popular swan pedalos. (Note, most maps show Beira Lake as a larger water body just north of this smaller lake, but rest assured the lake with the temple is by far the most attractive. The larger lake is mainly home to industrial facilities). Pettah is a working market, much like you’ll fine in many parts of Asia. Head here to experience a bustling trade where you can shop for anything from electrical goods, to sarees and stationary supplies. We suggest you enter from the Khan Clock Tower at one end of Main Street; a famous landmark and the market’s original entrance. Look out for the unique Al Masjidah Al Jamiul Alfar Mosque halfway down Main Street for its uniquely stunning red and white candy-striped facade. As evening falls, Galle Face Green is the place to head. The short stretch of beach comes to life at this time of day with many local vendors selling tea, food and beer, while children and adults alike fly kites high into the evening sky. At the southern end of this beach is the iconic Galle Face Hotel, a Colombo institution and a long standing favourite with Colombo’s high society. Once you’ve walked along the beach itself stop in at the hotel to refresh - it’s worth indulging in its famed afternoon tea served on the verandah most afternoons - call ahead to reserve. For a more relaxed dining experience here, order snacks and a drink at the pool side bar - the sea crashes right into the hotel’s front a few metres away from poolside tables and is a memorable experience. As one entire side of the city is sea-facing, it would be rude not to enjoy the sea views with a sundowner drink. Thankfully Colombo has plenty of options on offer. Galle Face Hotel (see Galle Face Green above) is one, but the rooftop bar trend has caught on here too; head to Sky Lounge at The Kingsbury, Vistas at The Movenpick, or On14 at Ozo Hotel for perfect sun-set-over-sea views. Another (non-rooftop) option is Station, supposedly the only place in the capital to have a drink on the beach, feet in sand. When it comes to dining, Colombo has options to suit most tastes and budgets. If you want to try local food, Upalis, Raja Bojun or Palmyrah are the best in town. They serve food all day, including at dinner time, though it’s worth noting that Upali’s famous lampreis usually sell out by midday. None-the-less, any of the dishes at these restaurants will provide a real Sri Lankan feast. For an exceptional dining experience Ministry of Crab is Sri Lanka’s most famous restaurant internationally, and for good reason; be sure to call ahead in advance as they usually have a long waiting list. If you fancy trying something different then head to Horton Place where you’ll find August by Mama Aida's serving Middle Eastern cuisine, The Ceylon Cafe serving Sri Lankan food in an upmarket setting reminiscent of a bygone era, and Flamingo House who brand themselves as ‘eclectic post-colonial mayhem’ - and with painted flamingos on the walls, cocktails served in bicycle mugs and after-parties until 4AM, we’re inclined to agree! A ten minute drive from here is Park Street Mews, former warehouses that have been converted into restaurants and bars, including Kuuraku a fabulous Japanese bring-your-own-bottle restaurant. In Colombo itself you'll be spoiled for choice of top-class hotels, including Shangri La, Movenpick, Hilton and ever-relevant Galle Face Green Hotel. For accommodation closer to the airport we recommend five star hotel The Wallawwa - only a 15 minute drive to Negombo airport.